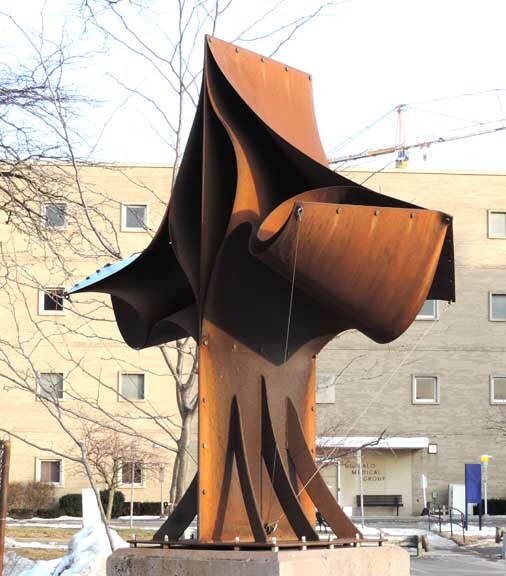 The Buffalo Renaissance Foundation, a non-profit, businessmen’s organization founded in 1981 that is committed to bettering the City of Buffalo, has announced its newest project - a Sculptural Art Initiative entitled the “Spirit of Buffalo.” This initiative will bring five outdoor art pieces to various locations across the city and surrounding areas over the next five years. 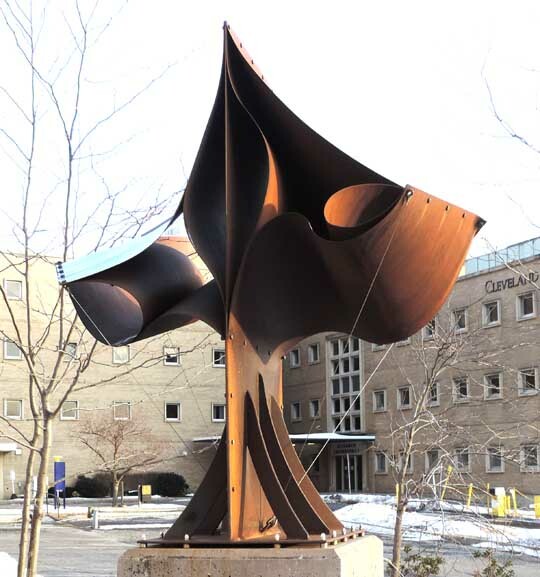 The plan is to bring five outdoor sculpture pieces to downtown Buffalo and the surrounding areas, mixing contemporary pieces with more traditional ones. 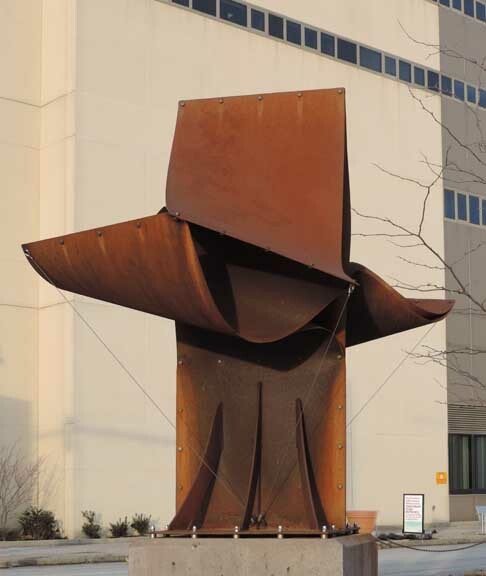 This mixture will showcase the “spirit” of Buffalo: the contemporary pieces will explore the future and new initiatives committed to bettering the city, while the more traditional pieces will celebrate and commemorate Buffalo’s rich history, according to Schneider [Jake Schneider, president of the Buffalo Renaissance Foundation]. 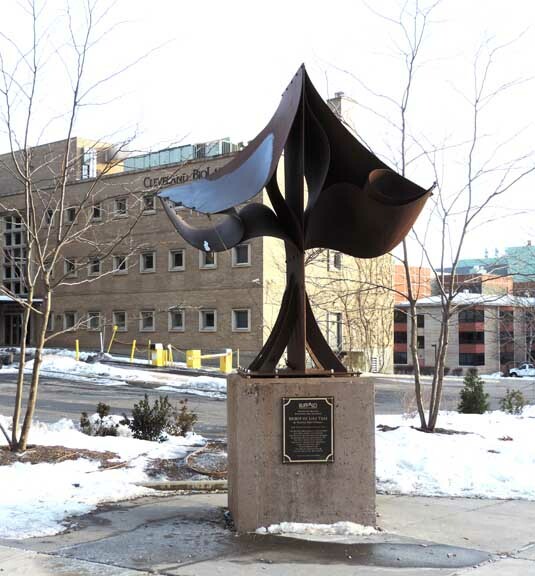 The “Spirit of Life Tree” is a contemporary piece by local artist Valeria Cray-Dihaan [Bio online Jan. 2015] that celebrates the healthcare work being done at the campus. 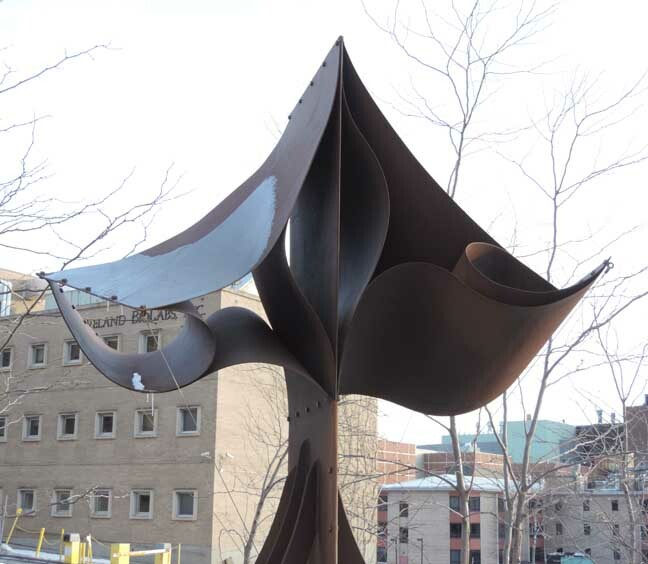 The “Spirit of Life Tree” will stand at eight feet high and eight to ten feet wide and is made of Corten metal. 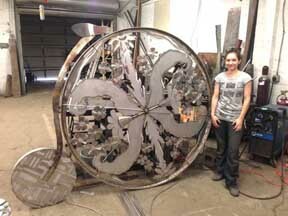 This metal is special because it ages and gets stronger with time - a piece that will last a lifetime. 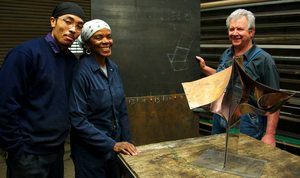 From left to right, it’s Hiram Lee-Cray, Valeria’s son who has been doing all the welding for the project; Valeria, the artist; and Chris P. Beyer, who is the owner of Denler Sheet Metal Inc. where the assembly of the piece is being done. 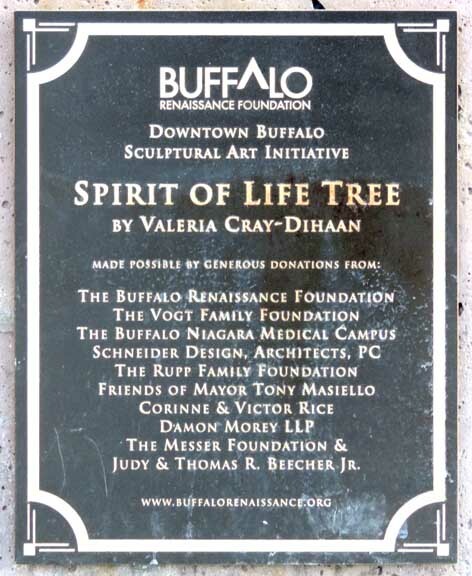 See also: The second Buffalo Renaissance Foundation sponsored sculpture by Sarah Fonzi, "Spririt of Transportation"